In addition to its natural beauty, it also happens to be home to local artisans, who are preserving the islands local traditions for future generations to enjoy. This is something I am personally passionate about promoting and luckily, so is ITALY Magazine. I first interviewed a jeweler, Giancarlo, who’s work focuses on the fine Sardinia filigree and now we feature our second artisan of this new series. 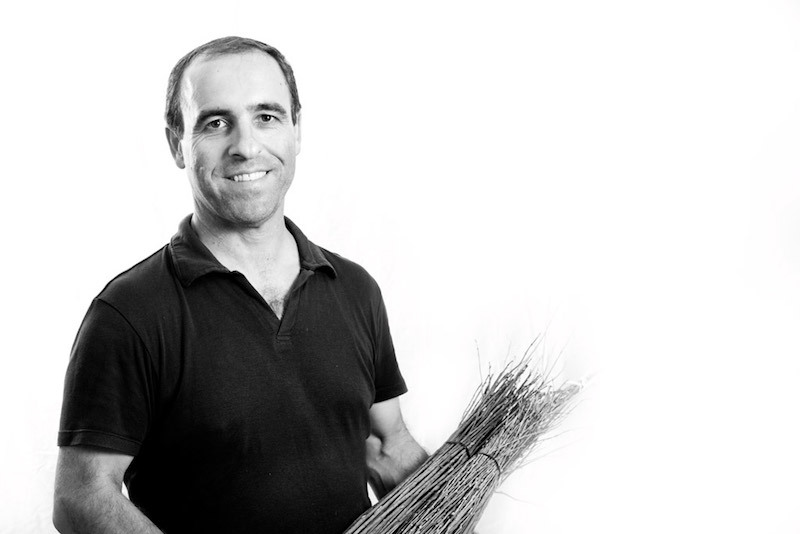 His name is Antonello Utzeri and he has learned the art of traditional basket weaving in Villaputzu, Sardinia and has been undertaking this trade full time since 2002. This small village in the province of Caglieri sit on the foot of the Sarrabus hills, born of a Latin name lending to its abundance of water from the river Flumendosa. Once made, they are either sold as gifts, to use around the house or for decorative purposes. They are light and easy to transport. People like Antonello have added a design element that brings these products to life, like this pretty candle holder that is made entirely by hand. He uses materials that are local to the territory of Sarrabus. He also works with the designers of Imago Mundi on innovative projects that are internationally acclaimed and published in prestigious furniture magazines. 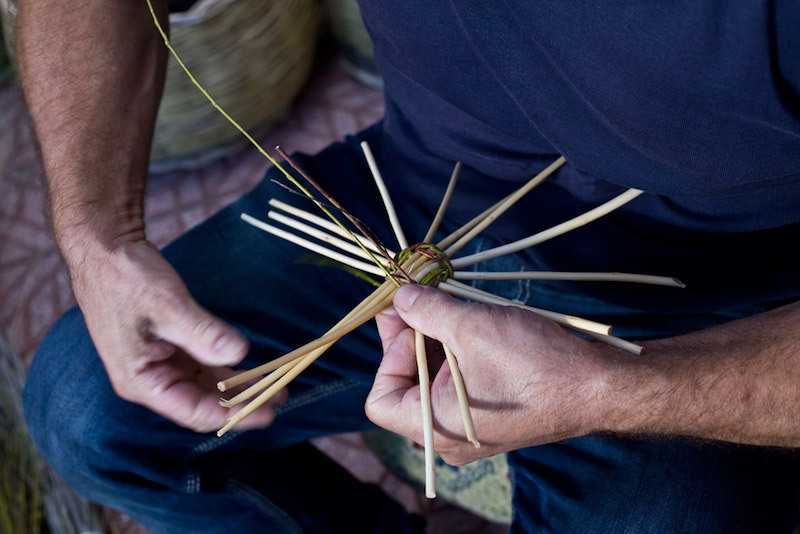 In order to best get to know his work, we needed to chat with the man himself, below you’ll find our interview with a true Sardinian artisan basket-weaver with details on how you can buy his work down below. Antonello, can you tell me a little bit more about yourself? I am a craftsman born in 1965 in Sardinia, Villaputzu, which is in located the province of Cagliari. I am married, the father of two children, with a passion which would become my job, which is to create an interesting array of various baskets. And beautiful they are! We have to ask, why did you choose to do this work? Truth be told, this passion handed was handed down from my father-in-law, and over the years it has grown to become a real job. Is there any particular workmanship or material that makes your products recognizable to everyone? The feature that used to distinguish these baskets is the use of myrtle wood, which gives off a particular scent that lasts for years and is a typical plant that is found in Sardinia. How do you design a project and where do you start? It is an art that is born of from a specific project, but using the craftsman's imagination. 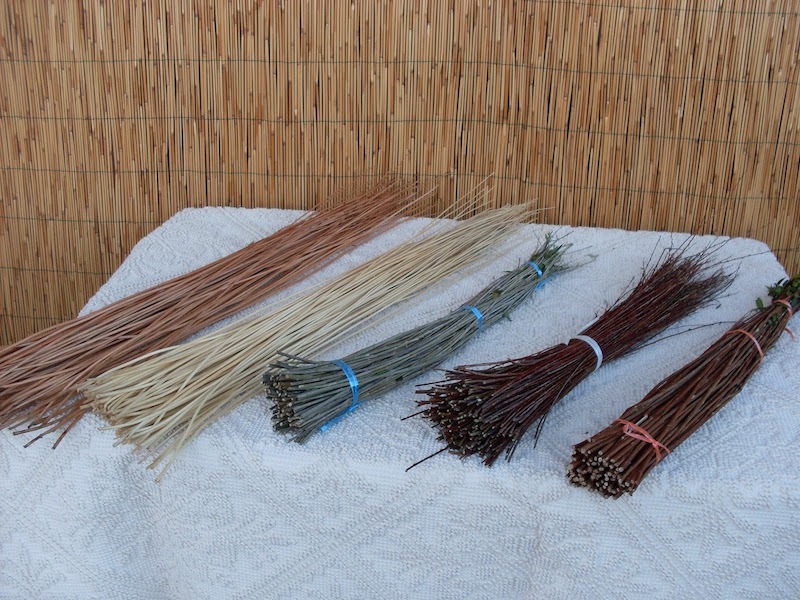 To create the baskets, the first step is the search for materials that will be woven together. I use myrtle wood, olive, willow, and local reeds. After we remove all of the leaves and you can start the process of making them into baskets. How long does it take to make one of your designs? Since various models also have various sizes, each of them requires several hours to make. 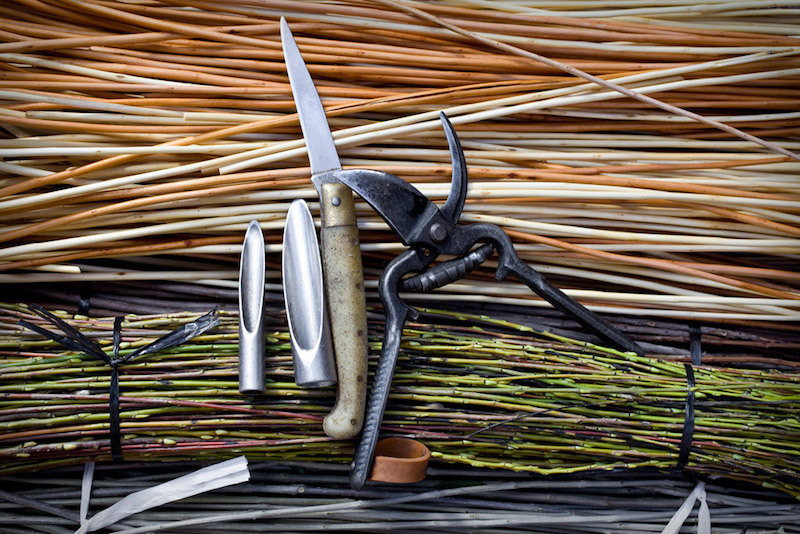 Tools of the artisan, photo by Itaca Freelance. During this economic period in Italy, what would you say are the difficulties you encounter in your work? The major difficulty that we are facing these days is the extremely high number of taxes. How do people react to your work? Do you find that they appreciate the craft? People really appreciate the craft because nowadays it is increasingly rare to find them. It’s a dying skill which we hope survives by later generations taking interest to continue the trade. You can see which items of Antonello's that we sell in our shop here, and make sure to browse the rest of our awesome made-in-italy items.